Sometimes we take things for granted, we let the tap running while we’re brushing our teeth. Do you know that some people in our country don’t even have clean water for drinking, cooking and cleaning. So next time make sure you don’t waste water, because every single drop of water is precious. 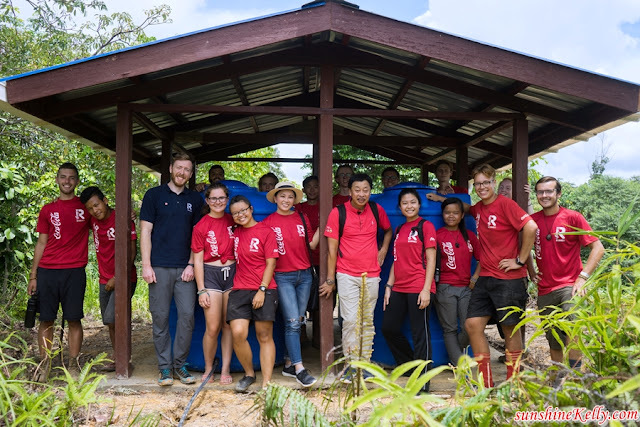 Recently I was privileged to join Raleigh x Coca-Cola team to Kampung Tikalod in Sabah for Clean Water For Communities Project - to witness the opening ceremony of the new Gravity Fed Water System and 3 new tandas. On the day I arrived, I visited the Raleigh Field Base in Kota Kinabalu. From there I got to know more about Raleigh International in Sabah (Raleigh Borneo), the team members and also their projects from Alistair (Ali) Logan, Raleigh Country Operations Manager. It was an eye-opener that some communities in Malaysia are still living below the poverty line without proper sanitation and clean water. 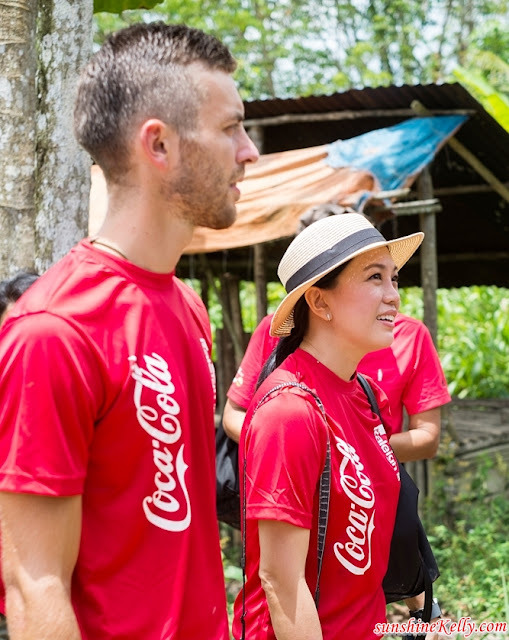 Coca-Cola has been working with Raleigh International in Sabah since 2006 to build or repair existing Gravity-Fed Water Systems that provide a lifeline to remote villages. “Coca-Cola intends to return to communities and nature an amount of water equivalent to what is used in our beverages and their production by 2020 and we are working toward water balance through diverse, locally focused community water projects and one of the ways we are doing so is by improving safe access to water and sanitation which also helps to improve local livelihoods, help communities adapt to climate change and improve water quality,” said Coca-Cola Malaysia’s Public Affairs and Communications Director Kadri Taib. From Kota Kinabalu, we head over to Kampung Marudu which was about 2 ½ hours drive. Then, we overnight in Kampung Marudu first before heading to Kampung Tikalod in the morning. Our journey to Kampung Tilakod wasn’t that easy thou, it was about 4 ½ hours by 4x4 into Borneo Rain Forest. There were several times I hit my head on the side bar of the car window, just imagine certain part of the journey was like roller coaster ride. 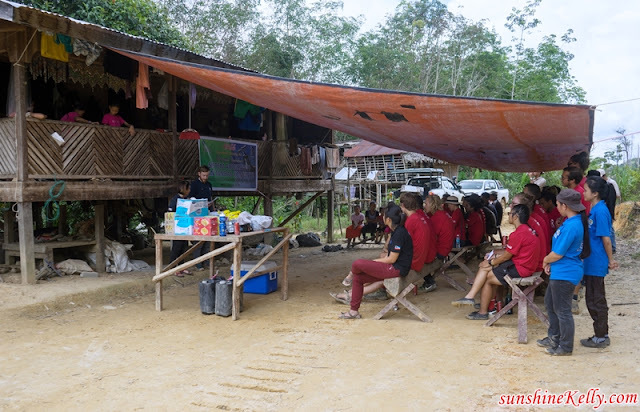 Kampung Tikalod is located in northern Sabah, home to a small population of around 70 people from the ethnic minority of Dusun Sonsogon, spread across 11 households. 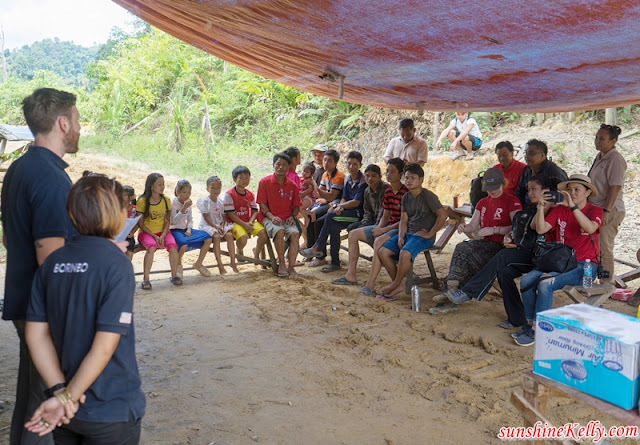 The children and folks have been getting by with limited facilities, with no reliable and safe water supply nor toilet, and the nearest primary school being a two-hour walk away. Collecting water for daily use involves a one-hour trek from a source which is not constant especially during the dry season. Through the “Clean Water For Communities” programme, now with the new Gravity Fed Water System the community at Kampung Tikalod can enjoy the convenient access to clean water, piped directly into the village which eases their burden as they carry out daily activities such as cooking, washing, bathing, and general cleaning; plus 3 new tandas. 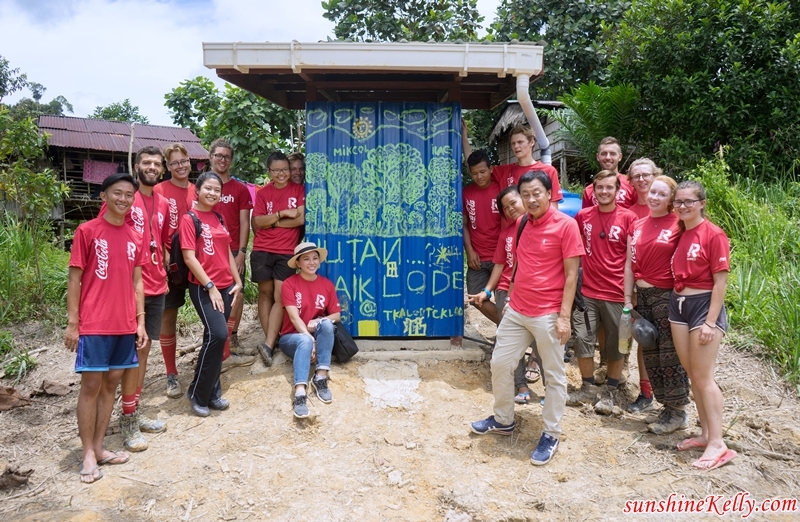 All these were built by Raleigh Venturers with the guidance of Mr. Lustin, Ketua Kampung Tikalod and also Raleigh project manager. Aged between 17 and 24, the Raleigh Venturers or volunteers who came from Britain, France, Poland, Spain, Bermuda, Africa, Bangladesh, Australia and also Malaysia spent nine weeks working alongside the village folk. Their evenings were spent teaching the children English and learning from each other’s diverse culture. Kudos to all the venturers that left their comfort zone and travelled all the way to remote village in Sabah to change the livelihood of the villagers in Kampung Tikalod. When asked about their experience during their stay in Kampung Tikalod, they get along very well with the villagers or “orang kampung”. Apart from learning new skills, these venturers also learned how to adapt, lead, work in a team, and survive with what they have. After the opening ceremony and speeches, we had lunch prepared by the villagers, and then followed by some performance by the venturers and some of the children here. 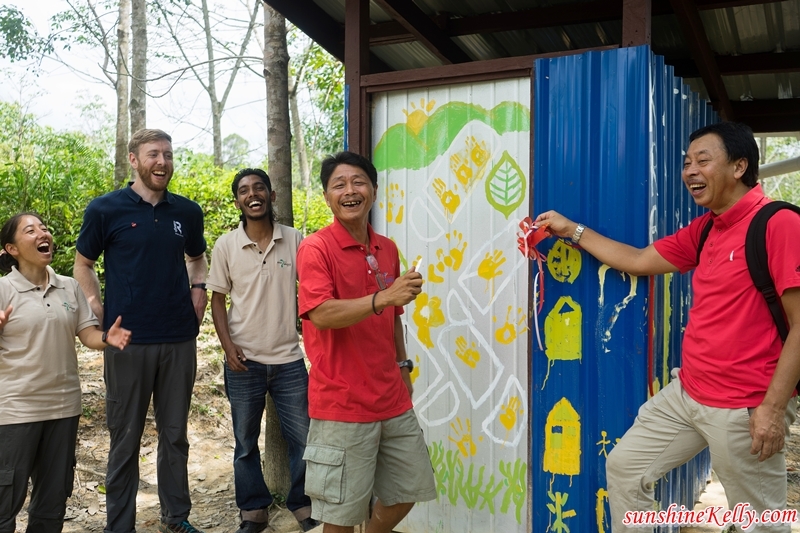 Now the villagers in Kampung Tikalod can look forward to a better quality of life and better health with the construction of three sanitation units and education on basic good hygiene habits. 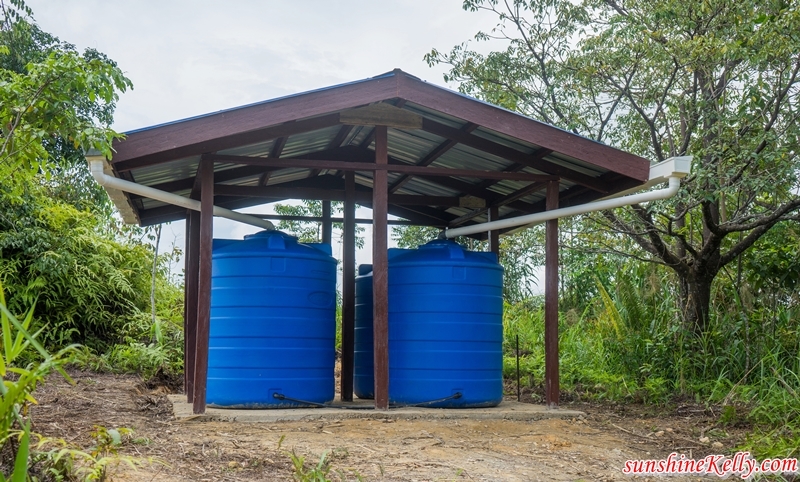 Kampung Tikalod is the 57th community to benefit from the “Clean Water for Communities” programme where The Coca-Cola Foundation has funded over RM1 million in support of the remoted rural communities in Sabah with the latest funding of US$60,000 to continue the project until 2018. 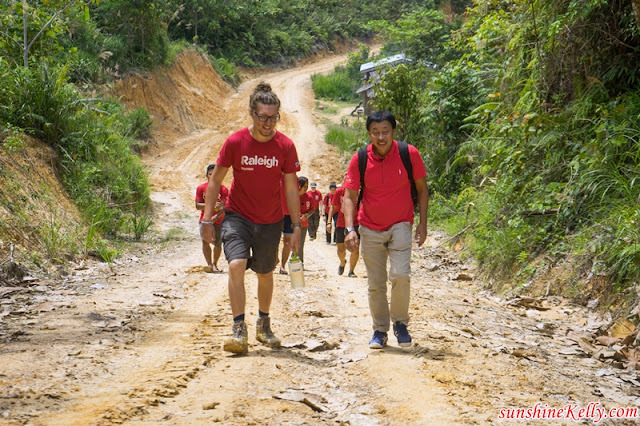 “At Raleigh International we believe that when local communities and young people work side by side to create positive change, it empowers them, and it’s the energy and motivation of empowered people that creates lasting change. We are looking forward to delivering our new 2017-2020 country strategy, and to be part of a global community working to build a sustainable future and create lasting change through youth,” said Brandon Charleston, Country Director, Raleigh Borneo. I like the program that carry out by Coca Cola and indeed it helps the people to get a clean water. It us important to maintain hygiene and get a clean water daily. Salute the team work by Raleigh . projek yg baik ni.. membantu mereka yg memerlukan sebegini.. bgus coca cola ni..
Tak pernah dengar kg Tikalod ni. Bagus juga program yang dianjurkan. Khas untuk mereka di kawasan pedalaman yang jauh dari pembangunan moden. Best aktiviti macam ni sebab dapat turut serta dengan mereka yang dari negara yang berlainan. This is such a great project. We all know that water is really important to human. when I see their lives, the first thing I feel grateful is that my life is more comfortable. Look at the little boy for me to feel touched. They will be happy when there is a program by Coca Cola. Especially you are great to participate. Wahh bestnya dapat ikuti program yang sebegini, dapat masuk ke kawasan pendalaman dan membantu mereka di kawasan sana. Wahhh, such a greta initiative. Lucky you got chance to join this kind of activity. By the way, your photos looks nice. Cantik2 la gambar. Btw inisiatif yg bagus betul la. Lucky you get to join this kind of activities. Bagus program2 mcm.. Patut diterapkan awal2 di kwsn kg yg susah dpt bekalan air bersih secukupnya.. First time dg kg tikalod di sabah ni..
i love these kind of activities where we can explore rural areas and do community service there. besides enjoying the nature, we can help the communities there as well. Very good work and collaboration. Really impress with the project : Clean Water For Communities Project by Raleigh x Coca-Cola. keep it Up! Rindu nak buat kerja amal camni. Dulu dah pernah buat. Memang seronok. Sekarang kalau nak buat macam ni, I sakit kaki dah. Hahaha. Semoga usaha murni ini diteruskan. Awesome initiative to get the village equipped with clean water! Thank you for all the hardworking may god bless yo all.